Two weeks ago, gun owners were kicking in the teeth of some of Minnesota’s most notorious anti-gunners on election night. But moments ago, the city of Bloomington passed an ordinance that would BAN gun stores in many locations. Testifier after testifier came to the stand to address the Bloomington City Council and testify against their draconian proposal. I presented nearly 1,000 petitions from gun owners like you in Bloomington and across the state telling them to vote it down. And one lady who didn’t even like guns pointed out that criminals don’t follow the rules, and that passing an ordinance like this only makes it harder for good folks to defend themselves. But it fell on completely deaf ears. Radical anti-gun mayor Gene Winstead spearheaded their attacks on the Second Amendment, going on the warpath against gun owners! He even threw a temper tantrum and temporarily adjourned the meeting to find his “safe-space” because he didn’t appreciate getting called out. In the end, the council voted 6-1 for the proposal to ban gun stores, and joins St Paul and Minneapolis in adopting these crime-inducing policies. But now is not the time for gun owners to back down – in fact, we have to be more vigilant than ever before! 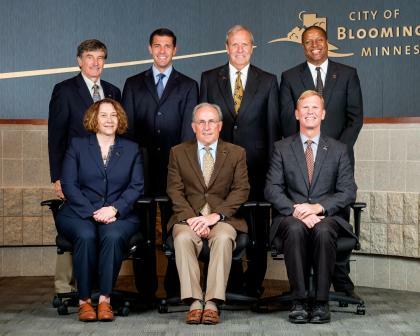 The actions tonight by the Bloomington city council may embolden other towns and cities to do the same. If you hear of a ban coming up in your area, please email us immediately with any information you have so we can work hard to defeat them! One of the key reasons we believe this proposal was able to pass tonight was because we only learned about it in the final stages. The sooner we can hear about them from folks like you the better prepared we’ll be to fight back against them! It’s 10:45pm already, so for now we can’t thank you enough for calling and emailing the Bloomington City Council! We took a jab tonight, but we’re going to shake it off and jump back in. And we’re dang proud to stand with you and fight back. What can we do to put pressure on Bloomington to reverse its gun zone limitations? Gun owners boycott MOA until this is reversed? Gun-right advocates brought their opinions to the Bloomington city council, but they were ignored and mocked. I would say that now the thing to do is to bring it to the voters who elected them. Do to them what was done to Gronstal in Iowa. If you can turn several of them out of office, the gun banners in Bloomington and elsewhere will be more respectful when they are petitioned at a city council meeting. MGR could provide a starting point by naming those who voted for the ban. The article falls short.